I’d like to explain one of the foundation elements of API platforms–API Sandbox. 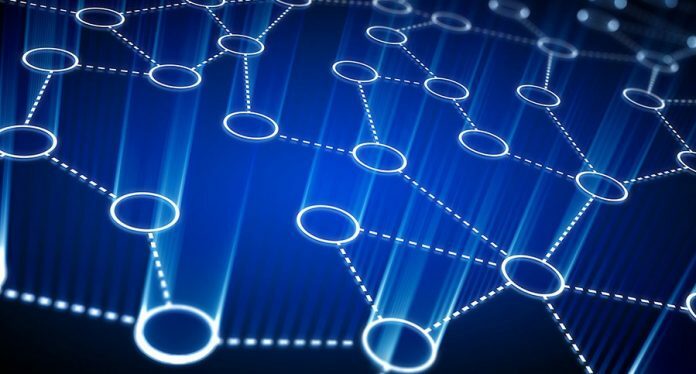 Most new applications built today to run digital businesses are API-driven, and APIs are an important means of both delivering business products to the market and interacting with business partners in a Customer Experience Network. Therefore, API Portals and self-service API testing become critical to engage and grow API consumers with seamless developer experience. 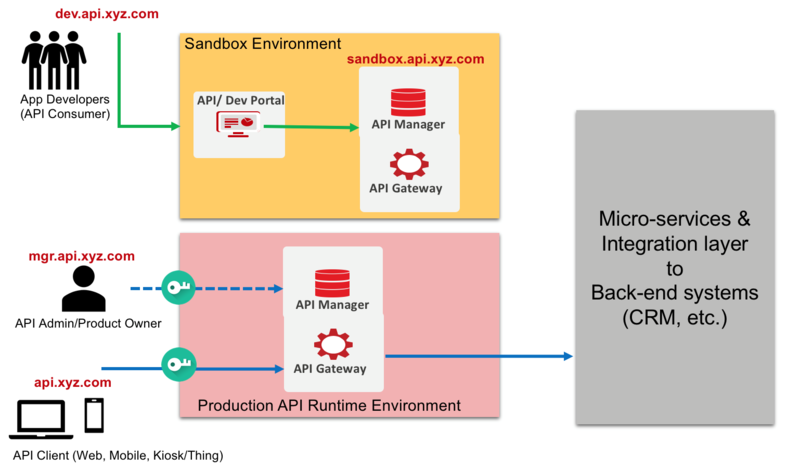 A simple way to describe an API Sandbox is an environment targeted at API consumers (developers and testers) that mimics the characteristics of the production environment to create simulated responses for APIs that reflect real system behavior. A couple of examples of companies that use API Sandbox are these successful tech pioneers–Uber and Paypal. API Sandbox mirrors the features found on the production API servers. It is a platform that allows users and non-users to try/make and view the results of simple API calls in a walled-garden approach. While registered users would obviously be the best-case scenario, anyone can use an API Sandbox, as the system itself does not handle significant volumes of private or important information. By its very nature, it is closed off from the rest of the API ecosystem. 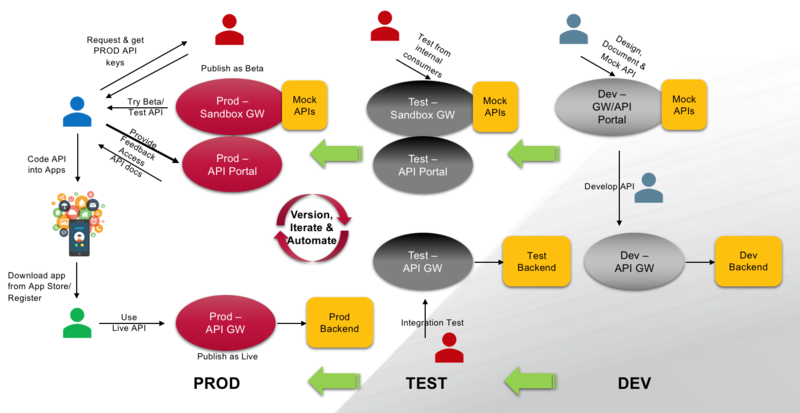 API Sandbox allows for a testing environment to be shared publicly with users while the API itself is being concurrently developed (Beta APIs). Business Case: Why do you need it? 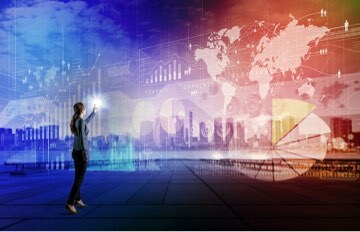 Cybersecurity is a broad topic and given it is not the focus of this blog, I’d like to focus our attention to APIs which are building blocks for digital business. As APIs increasingly expose/unlock important data stored within organizations, API security best practices need to be implemented. One of which is API Sandbox, where isolation of Developer/API Portal from production Runtime API minimizes the risks of attacks. Mind you, it is still important to protect your production runtime APIs with API Firewall and/or AI-based threat protection, as this will become clearer when we look at the architecture later on. There is no shortage of news on cyber attacks or security breaches in today’s world where organizations (public and private) do business or offer their services online. A simple Google search gives me a lengthy list of attacks ranging from government departments to financial services organizations including an interesting visualization of all the hacks. With the chances and the frequency of these attacks on the rise, data security & protection against threats becomes mandatory. 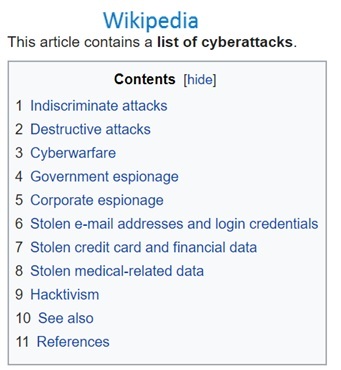 It is also important to understand that there are a variety of threats companies should guard against – I’ve provided a snapshot of a list of cyber attacks from Wikipedia to illustrate this. Development teams can deploy more confidently because everything is fully tested using virtual APIs to simulate a variety of errors. As no one is getting in anyone else’s way using stubs/sandboxes, testing is not a drag on the project timeline. While API Sandbox can be implemented in a number of ways including logical grouping, I’d like to illustrate one of the preferred ways which provide complete isolation of Sandbox and Production environments. In this way, untrusted developers and potential hackers who can target publicly listed API Catalogs do not get access to the production environments as they are isolated and use separate security policies and credentials that are not publicly accessible. In this architecture, production runtime APIs are not only isolated but secured by API firewalls and/or AI-based threat protection systems and utilize highly secure Authentication/Authorization policies like OAuth/Open ID Connect. Having said that, it is quite common for Sandbox API endpoints to use simpler or no authentication policies to make it easier to try and hence drive adoption. Beta APIs can be published to external clients to test for real-world scenarios. Internal API developers and testers can independently test APIs. In both scenarios, API testing can be done without any dependency on the back-end service/system. OK, if you’ve had enough of theory and want to try this out, AMPLIFY API Management platform makes it easy by enabling API mocks within API Builder and Sandbox architecture with isolation using API Portal where you can enable Try It capability for API testing in Sandbox environment. Read more about API Management here.